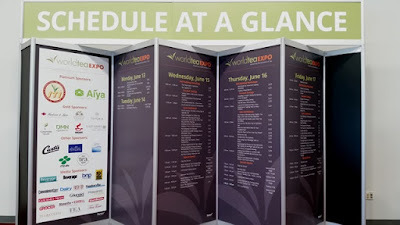 Day Two of the 2016 World Tea Expo was spent almost exclusively in the Exhibit Hall (with a side trip to the Mandarin Oriental for Afternoon Tea). At the Norbu booth, I tasted an oolong prepared by Tsou Vaviyana. 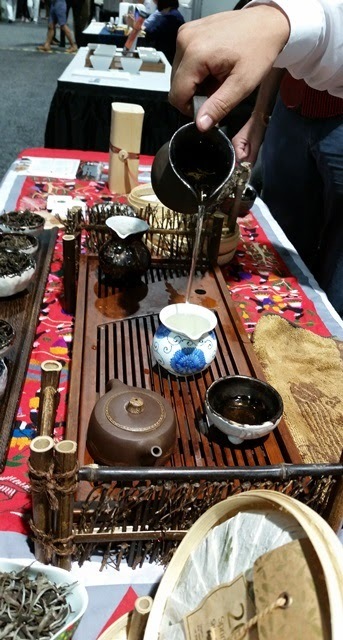 These Taiwanese oolongs are grown in Ali Shan and harvested by the indigenous Tsou people. 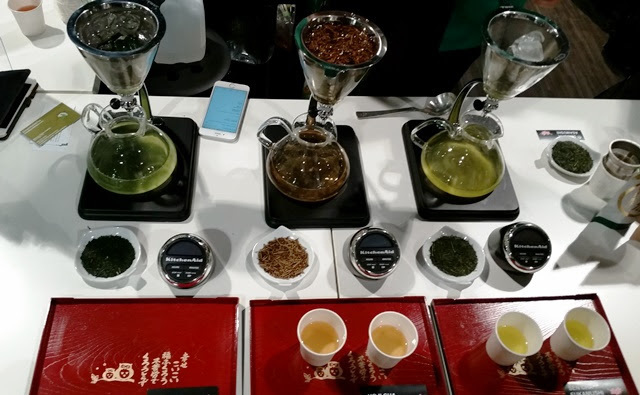 All the tea comes from the same area and from the same plants and it is the level of oxidation that makes each of these fine oolongs distinct. Laos Tea produces puerh and black tea using leaves hand-plucked from 400 year old tea trees in Phongsaly Province of Laos. 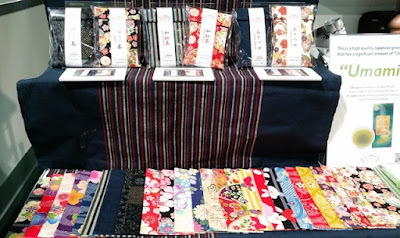 Last year, I visited Dobashien's main store in Akasaka so it was a pleasure to see them at the Expo. They introduced a new line of teas called Sommelier Blend with flavors that range from muscat to brown sugar, as well as a cold water-soluble matcha that utilizes organic dextrin that prevents the matcha from sinking or clumping. Nepali Tea Traders is sourcing sustainable organic teas from Nepal. I tasted their smoky Green Pearls of Agni and it's obvious why this was the crowd favorite. It was fantastic! 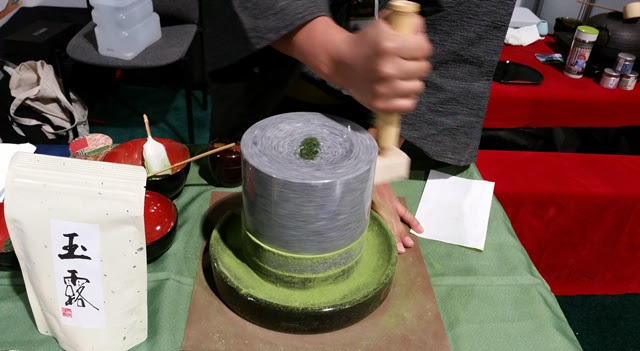 I was pleasantly surprised to see that Ito En's matcha LOVE line includes koicha. 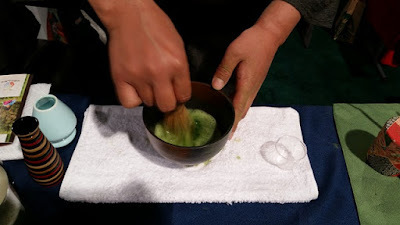 Koicha (thick matcha) is usually only encountered in chaji (formal tea ceremony) accompanied by a light meal and usucha (thin matcha) which is more familiar to most matcha drinkers. 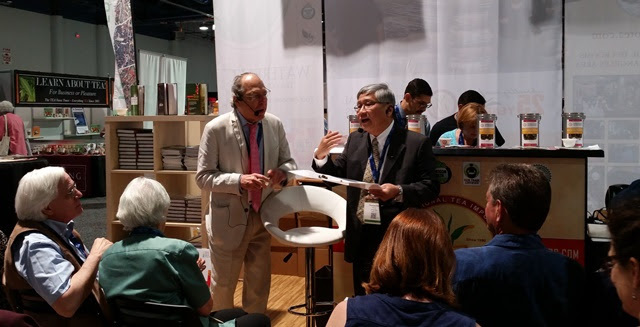 Tea education was well-represented this year, including ITEI (International Tea Education Institute). Director Sylvana Levesque was one of my first tea instructors and has an almost encyclopedic knowledge of tea with a specialty in Japanese teas. I am grateful to have had the opportunity to meet her at the Expo this year! Gong Fu Ti Kwan Yin - Ti Kwan Yin is the name of the cultivar. This particular version has a higher oxidation level and firing temperature. Da Hong Pao - Though hong (cha) indicates a red (black in Western countries) tea, Da Hong Pao means Great Red Robe and is not a black tea. 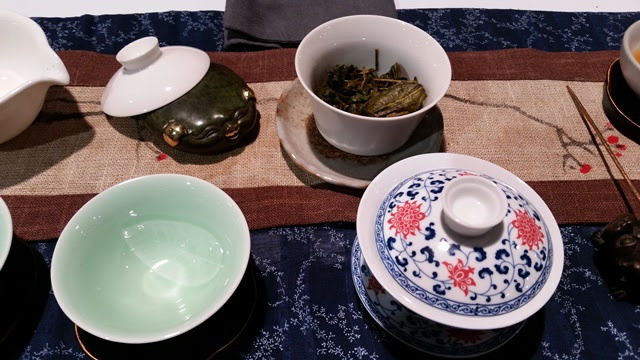 Tai Tung (Orange Pearl) - This oolong is relatively new, originating in 2009, and has 70-80% oxidation. Thomas recommends pairing this with steak. The session concluded with a Tai Tung tea song performed by Thomas Shu. Arum Tea offers organic teas from the PT Harendong tea estate in Indonesia. I had the pleasure of reviewing many of their teas last year and I'll be revisiting their Banten Dawn as a cold brew very soon. Sugimoto America offered samples of cold brew teas which were much appreciated by those of us who had wandered in from the Las Vegas heat. Sugimoto is also testing a line of flavored teas including Yuzu Kukicha, Fuji Apple Hojicha, Sakura Sencha (using sakura leaves rather than the flowers), and a roasted genmai (brown rice) "coffee". At the Kanei Hitoko Seicha booth, I spoke with the designer of a line of beautiful handmade washi tea bags that can be used to wrap packages of tea for gift giving. I wanted to take them all home with me! 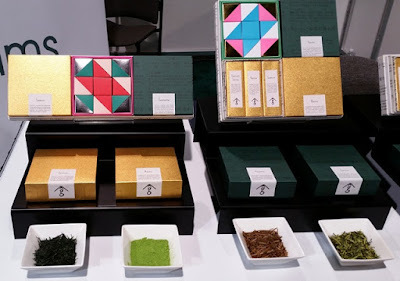 San Grams, whose name is likely a play on the individual tea serving size of three (san) grams, is based in Shizuoka with a retail and cafe space located at the source of their tea production. At the Ryutsu booth, hosted by Tealet, I was honored to taste the matcha that had been ground and prepared by tea master Yoshiaki Hattori. Hattori Farm produces sustainable, organic matcha and uses solar panels rather than cloth for shading, producing clean energy along with wonderful tea.